Author/Opus: This is the 132nd puzzle from our contributing puzzlemaster Murat Can Tonta. 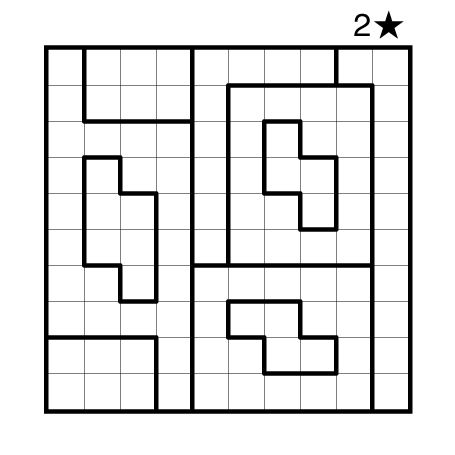 Author/Opus: This is the 216th puzzle from our contributing puzzlemaster Serkan Yürekli. 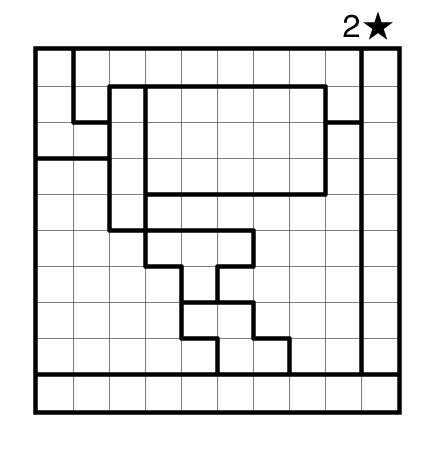 Author/Opus: This is the 27th puzzle from our contributing puzzlemaster Carl Worth. Note: Follow this link for other classic Star Battles. If you are new to this puzzle type, here are our easiest Star Battles to get started on. More Star Battle puzzles can be found in The Art of Puzzles. 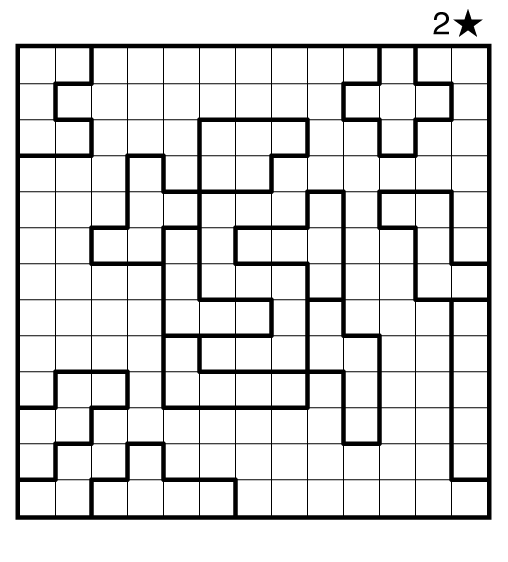 Author/Opus: This is the 297th puzzle from Thomas Snyder, aka Dr. Sudoku. Rules: Standard Star Battle rules. One star per row, column, and region. 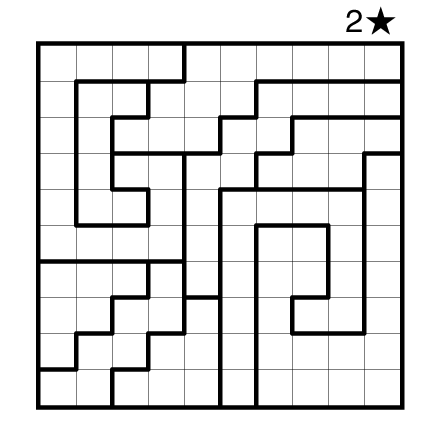 Answer String: For each row from top to bottom, enter the number of the column from the left where a star appears. Enter these numbers as a single string with no separators. 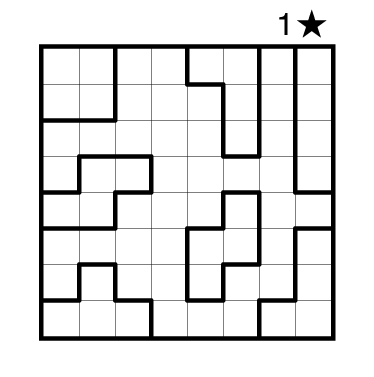 Author/Opus: This is the 11th puzzle from guest contributor Carl Worth. Note: Follow this link for other classic Star Battles. If you are new to this puzzle type, here are our easiest Star Battles to get started on. 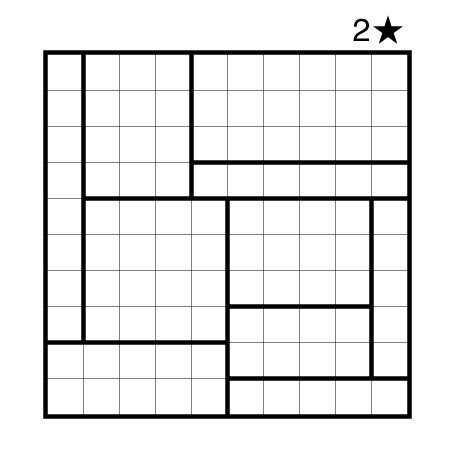 Author/Opus: This is the 242nd puzzle from Thomas Snyder, aka Dr. Sudoku. 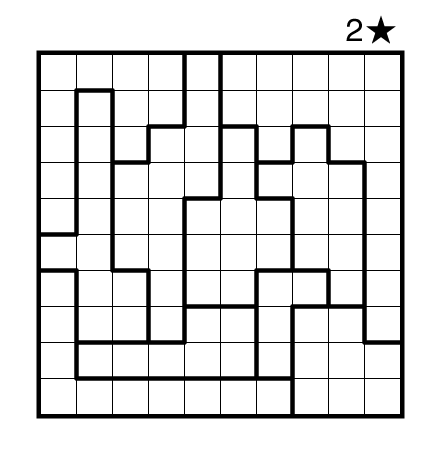 Answer String: For each row from top to bottom, enter the number of the first column from the left where a star appears. Enter these numbers as a single string with no separators. Enter both digits of any two-digit column number.